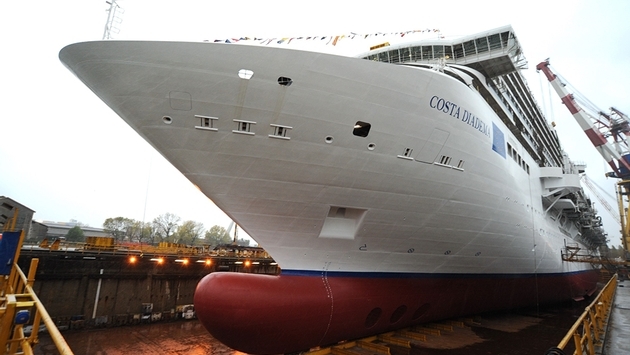 The contest to name the godmother of Costa Cruises' Costa Diadema ended today after drawing more than 500 applicants. 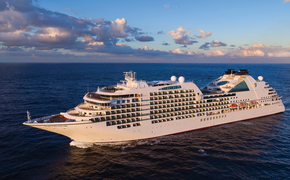 The Italian cruise line's newest flagship, the Regina del Mediterraneo or Queen of the Mediterranean, will be christened at a Nov. 7 ceremony in Genoa, Italy, and applicants from more than 50 different countries are vying to be named the event's guest of honor, la Madrina della Regina or Godmother of the Queen. In July, Costa Cruises invited female travel partners from around the world to submit their applications, which involved answering a questionnaire and providing a photograph. A selection committee composed of Costa executives will now review the applications. The cruise line is looking for a woman who is a proud partner of Costa and represents the company and its values. The ideal candidate will be passionate about her job, outgoing, spontaneous and demonstrate a positive attitude. The selection committee also will choose four "bridesmaids." The godmother will play a large role at the ceremony in the elegant Emerald Theatre when the ship is officially named in November. She will take the stage to perform the company's christening ritual, cutting the ribbon and breaking a bottle on the bow of the ship, and she also will be the guest of honor at the elegant gala dinner following the ceremony. The committee will make their selections by Oct. 15. In addition to the Nov. 7 christening, Costa Diadema's month-long debut will include a preview cruise from Trieste, Italy, Nov. 1, and a trio of seven-night inaugural cruises Nov. 8, 15 and 22. Beginning Nov. 29 and for the rest of the 2014-15 winter season and through summer 2015, Costa Diadema will depart Savona, Italy, on seven-night western Mediterranean cruises calling weekly at Marseille, France; Barcelona and Palma de Mallorca, Spain; and Naples and La Spezia, Italy. The 132,500-ton, 3,724-guest Costa Diadema will offer many innovations onboard including food and wine venues Vinoteca, Birreria (beer house), Japanese Teppanyaki, Piazza Pizza and Gelateria. New entertainment offerings include Country Rock Club, featuring "classic rock" music, and the Star Laser room, offering interactive laser games including Laser Maze. Portobello Market Piazza is an 11,840-square-foot area with designer stores and retail outlets. For reservations and more information on Costa Diadema, call your travel professional or 800-GO-COSTA, visit www.costacruises.com or check out the line's Facebook page.